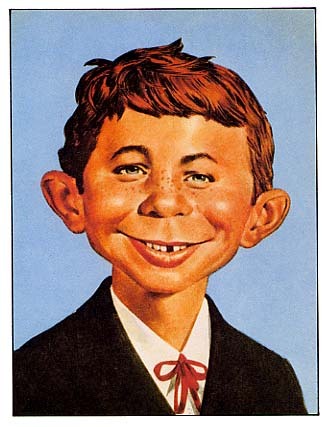 It was the philosopher Alfred E. Newman who coined the epigram, “What, me Worry?” I suspect he also came up with the fallacious thought that “What you don’t know can’t hurt you,” which as any lawyer can tell you, is tragically and dangerously untrue. Take as a case in point Ivison v. Ivison, 762 So.2d 219 (Miss. 2000). Mrs. Ivison got the former marital residence in the divorce, and the ex-husband paid the mortgage notes. The husband deducted the payments because he was advised that payments made to a third party on behalf of another are treated as alimony and are deductible, if they are mandated in a divorce judgment or property settlement agreement and meet the other criteria for alimony. Mr. Ivison took the deduction, and Mrs. Ivison got a nice, but businesslike letter from the IRS explaining that they wanted her to pony up the income taxes, which were in an amount significant enough to give Mrs. Ivison a bad case of hiccups and send her scurrying to court. Mrs. Ivison complained to the chancellor that she had not been advised by her attorney at the time that the payments were going to be treated as income, and that she would never have agreed to the divorce settlement had she known. She convinced the sympathetic chancellor that the ex-husband, and not she, should have to pay the taxes. She got her modification. On appeal, the MSSC reversed and rendered. The opinion pointed out that the applicable tax law had been in effect at the time of the divorce, so the situation did not constitute a material change in circumstances. The court also held that ignorance of the law, and particularly in this case tax law, is not a reason to modify. I do not know what happened to the attorney who did not advise Mrs. Ivison. I hope he or she had enough malpractice insurance coverage to weather the storm. This was truly a case where what you don’t know can indeed hurt you. And to put it even more pointedly: What your client does not know that you should have advised her about can indeed hurt you. § 6 Responses to WHAT, ME WORRY? Dang. Left an ambiguous pronoun in there that could cause a real problem. Oooooops. That is what I get for hitting return before proofreading. Ouch. I suspect if the IRS claim was enough for her to go to court over once, it was enough for her to go a second time (after the lawyer). Not sure that that will completely shield the lawyer, but it is always wise to define the scope of your representation in the legal services contract and again remind the client in writing at the time a PSA is proposed. When I was practicing, I knew of some attorneys who still, in the 21st century don’t have contracts or letters of engagement. Like painting a big bull’s eye on your assets. You are currently reading WHAT, ME WORRY? at The Better Chancery Practice Blog.